Brian’s entire practice is dedicated to serving the needs of employers and insurance carriers in defending workers’ compensation claims in North Carolina. He places strong emphasis on the relationships he has with his clients while providing efficient and effective representation. 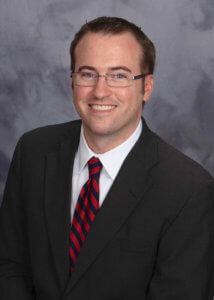 Brian has successfully defended and closed claims at all levels of the Industrial Commission. 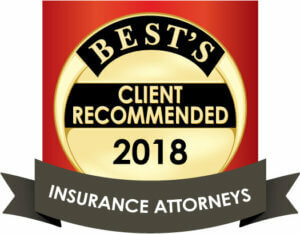 Brian has made numerous presentations to clients from Michigan to Florida on handling North Carolina Workers’ Compensation claims from beginning to end; communicating with physicians; managing returning to work; and claims handling under the 2011 new statutes. Outside of the office, he enjoys spending time with his wife and three children. Brian is a member of Fuquay-Varina United Methodist Church and enjoys playing golf, visiting the beach, and cheering on his Michigan Wolverines. Brian has made numerous presentations to clients from Michigan to Florida on handling North Carolina workers’ compensation claims from beginning to end; communicating with physicians; managing return-to-work; and how the 2011 statute changes affect claims handling.